Duluth Harbor Cam: Jeffery the Gull! Jeffery, you’re just the bird to keep us watching the Cams between ships! I think it’ll be a long cold winter without seeing your antics every day. PS: thanks Dennis for lowering the Cam a little so now we can see more of Jeffery than just his head. Jeff...from your lofty perch high above Canal Park do think there is more or less commercial traffic going through the Canal this summer? To me there seems to be a lot less but thought I would ask the resident expert. Thanks buddy! Haven’t seen hide nor hair of the handsome gent all day. 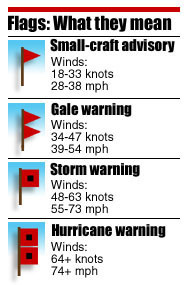 Understand though that “Taste of Duluth” is at Bayfront Park. Food hound is probably divebombing it. Also be up bright and early tomorrow dumpster diving! How can I tell if you are a gull or a boy? I know check the home page every day wondering what Jeff has to report. A great and fun addition to the canal watching. 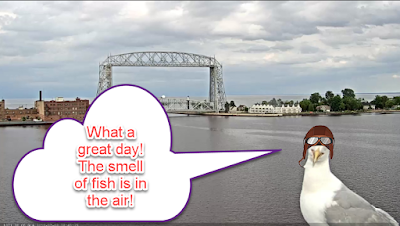 hey,jeffery the gull.love how explain all the stuff you see to everyone so well.you are quite the gull.i have been to Duluth a few times,it is an amazing place to be.i live all the way in upstate new York,but will always love Minnesota. keep on having fun,jeffery.